Recently, I had the opportunity to interview Deb Trevino, the Director of Corporate Communications for Starbucks. In this position, Ms. Trevino covers a breadth of roles: she handles financial communication, business and brand communication, corporate social responsibility, and crisis communication. Ms. Trevino was a pleasure to talk to and I really appreciated her insight. Below is Part I of my interview with Ms. Trevino. 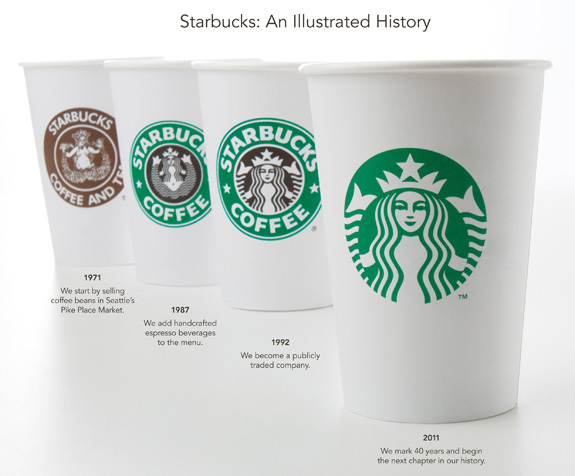 Topics included in this post include branding, the new Starbucks logo design, and digital media. 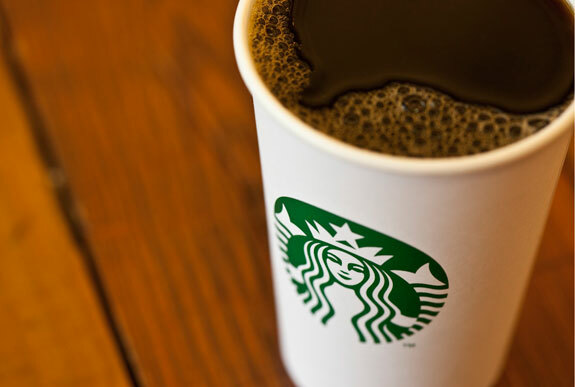 In Part II, the two of us discuss Starbucks in the global market and the coffee chain’s integration of corporate social responsibility within company policy. Maurice Rahmey: How did you get to where you are at Starbucks? Deb Trevino: I joined Starbucks about two and a half years ago and I came to this role from a similar one at a company called Getty Images, which is also based here in Seattle. Throughout my career, I’ve really worked in public relations, communications and marketing communications – some combination of those things. It’s really just a culmination of the experience that I dealt with throughout my career that got me hear. MR: Before I get into my own questions, my professor (Prof. Steve Quigley) wanted to actually know how your internal communication within the company fosters a strong and consistent customer centric culture within the stores. Would you be able to help me out with that? DT: One of the most important things we do is communicate to our employees (we call them “partners”). We really consider them our advocates and our evangelists and they need to be engaged in what the company is doing – everything as simple as the products we’re offering to the story behind those products and how they’re sourced. They need to understand what we do from an environmental standpoint. All of those things are really critical so that when they interact with a customer on a daily basis they’re really representing the best of what Starbucks is all about. MR: What’s interesting about Starbucks is that you don’t advertise that much especially compared to some other companies within your industry. How can Starbucks get away with not advertising and still do so well? DT: I think it goes back to your last question and it really is about our partners, our baristas, and our stores. They have that daily personal interaction with our customers. They are our advertising. We rely on them to tell our story and to convey what a great company Starbucks is. MR: How did the barista idea come about? It’s such an interesting concept as far as branding for the store goes. DT: Our President and CEO, Howard Schultz, on a trip to Italy, began to appreciate the café experience. He came back with the idea that he would translate that to something that would work in the US to start. But it really was inspired by his experience in Italy. MR: What’s interesting now is that your company, especially with the new logo redesign, is kind of moving away from the “just coffee” idea. Where does the company see itself within the next year in regards to what the new logo represents for the brand? DT: We’re definitely not moving away from coffee. It’s still what Starbucks is all about and the logo is just an expression of who we are. We felt that the siren at the center of our logo all these years really stood for coffee and stood for Starbucks – the words weren’t as necessary. [The logo] definitely doesn’t reflect a change in strategy. I think you’ll see us focus more on coffee, but also we’ll be focusing more on delivering coffee in ways that we haven’t before. DT: Through consumer package goods channels and through growing globally, the Starbucks brand is going to expand – and it may be already. We also already have brands within Starbucks that aren’t about coffee, like Tazo Tea for example. It gives us some flexibility to move beyond our retail stores, but we’re definitely not moving away from coffee. 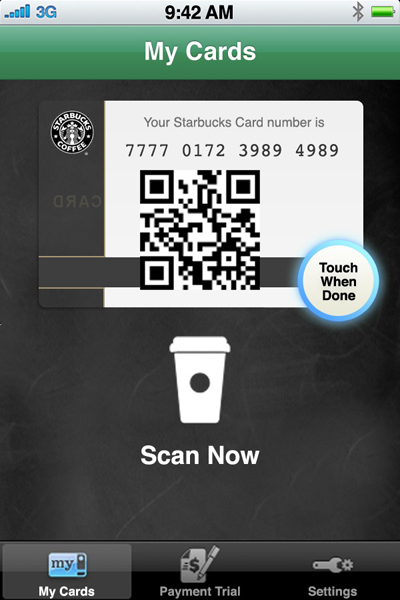 MR: Starbucks is on the cutting edge of social and digital media. What is your company looking forward to do with digital media in 2011? DT: Over the last couple of years, we’ve really made an impact with Facebook and Twitter. We have been, at times, a number one brand on Facebook. I think we’re still pretty close. We also have millions of followers on Twitter. Those two social media tools were really an acceleration of something we had started a few years ago with a website called My Starbucks Idea. The site really invited our customers and partners to help us come up with ideas, vote on them, and try and drive some change within the company. That was really the beginning of [the adoption of digital media]. Then it sort of accelerated with Facebook and Twitter. The kinds of things we’re doing now, which I think are really interesting, have to do with mobility. We just announced mobile payment where you can actually load money on your smart phone. MR: I was actually really hoping you’d mention that. DT: It’s been really exciting. We also announced something called Starbucks Digital Network about six months ago and that’s something that you can actually access within our stores on your laptop or on your mobile device. It gives you exclusive access to some really interesting and hyper-local content. MR: How did the decision come about to not only stop charging for internet access, but also give all these free online perks like the Wall Street Journal on this new digital network? DT: Again it’s all about differentiation. We felt like because of our large global footprint, we had an opportunity to get a lot of eyes on content. There are certainly a lot of content providers who are interested in doing that. Frankly, in the news business, people are struggling to understand and discover new ways to make money on content and get new subscribers. It came together in a good way. Free Wi-Fi has always been one of the number one requests of our customers on My Starbucks Idea. MR: What advice would you give to PR students who are looking to be in a similar position to where you are currently? DT: I would say learn to write well, talk with as many as people as you can, and always learn. Throughout my career, it’s always been about curiosity and wanting to understand different kinds of business and different ways of doing things. The fundamental thing though is still really writing. That’s probably the most important thing a PR student could focus on. Stay tuned for Part II of my interview with Ms. Trevino. Hi – I agree…writing is the #1 skill. Whether in-house or agency, managers look for employees who can convey information, emotions, thoughts, and arguments via a well-written press release, blog post, media pitch or tweet. I enjoyed part one and will be watching for part two of this series. Thanks for the comment. If you haven’t seen it yet, Part II went up earlier today. Great interview! I learned a lot about communications and Starbucks’ marketing plan. I truly learned a lot from this article. Fine work!